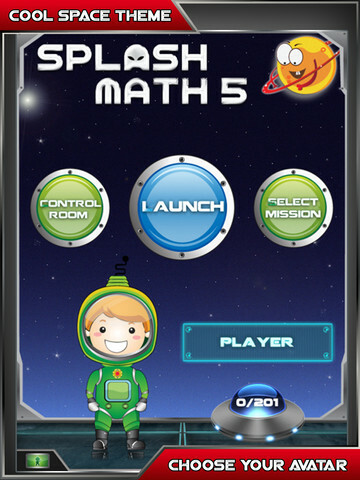 Developed by StudyPad Inc, 5th Grade Math: Splash Math Worksheets is a total math package for kids. 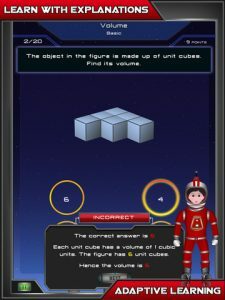 Perfect for making an often unpopular subject interactive and fun, 5th Grade Math is a great iPad app for providing motivation for young students. 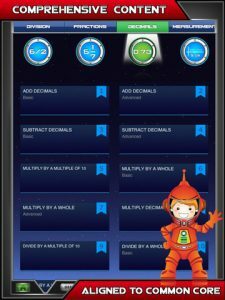 Featuring bright and colorful space-inspired visuals as well as up-beat midi tunes and lots of hands-on elements, 5th Grade Math will catch the eye of children and make the process of sitting down and working through some problems all that much easier. 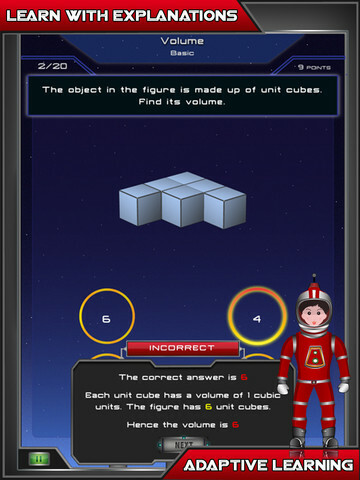 The core content of the iPad app includes a total of 9 math topics such as multiplication, division, fractions, decimals and geometry – each with an essentially endless supply of problems to solve. Built-in to the architecture of 5th Grade Math is a personalized learning curve, which adapts the difficulty of the problems to the ability of the student. This ensures that no student is left scratching their head or becomes frustrated with being unable to understand or solve the problems presented. 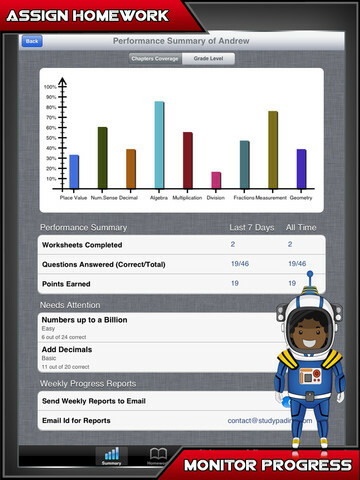 A great feature for parents is the weekly report, which sends a copy of your child’s progress via email providing feedback on the number of problems attempted, right/wrong percentages as well as areas that need further study. At $9.99, 5th Grade Math is a little on the expensive side, but undoubtedly has the educational credentials to justify the extra cost. 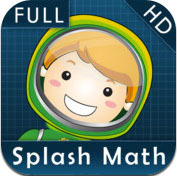 5th Grade Math: Splash Math Worksheets App is compatible with iPad. Requires iOS 4.2 or later.